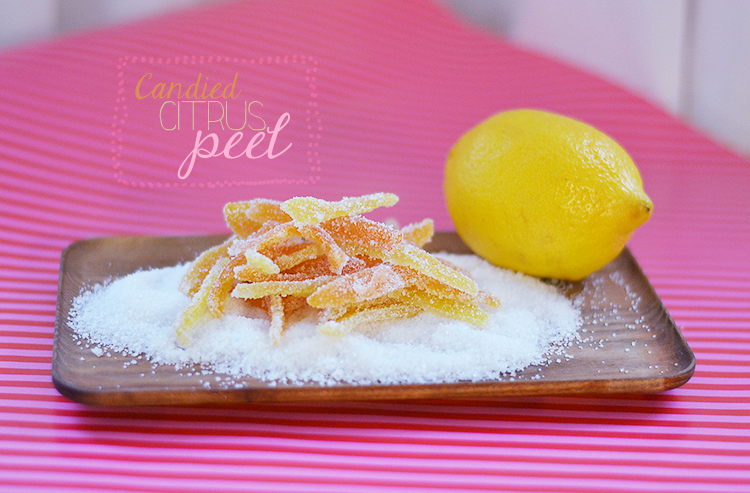 I made candied citrus peel the other day. Not for any particular reason, really. 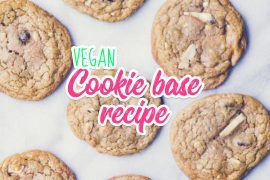 Sure, I had a couple of brainwaves about white chocolate chip cookies with the addition of candied lemon peel, but I kind of just wanted to try making yet another thing I’ve never made before. That said, I think these little gems would work great as cupcake or cake toppers. Step one is to acquire a couple of citrus fruits. I used grapefruits and lemons, but the lemons were best suited for this. Slice the peel off the fruits, try to avoid cutting too deep, you don’t want the bitter white part of the peel. Cut each piece of peel into about 1/2 inch (1 cm) strips. 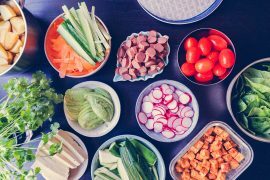 Place in a pot of boiling water and cook for about 10-15 minutes, until it’s tender. Transfer to a baking sheet to dry for about 15 minutes. 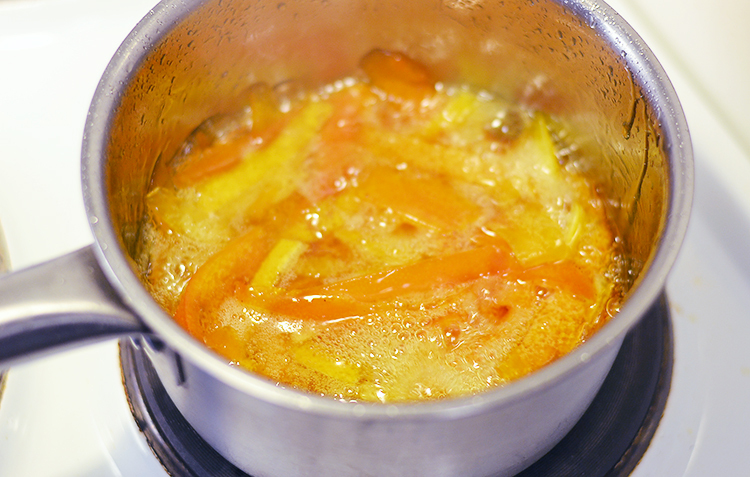 Bring equal parts sugar and water to a boil, stir until the sugar has dissolved and then add the citrus peel. Boil until it turns into syrup (nice golden color) and the peel is translucent. About 10 minutes. Use a slotted spoon to carefully transfer the peel onto to a piece of parchment paper, allow to cool completely. 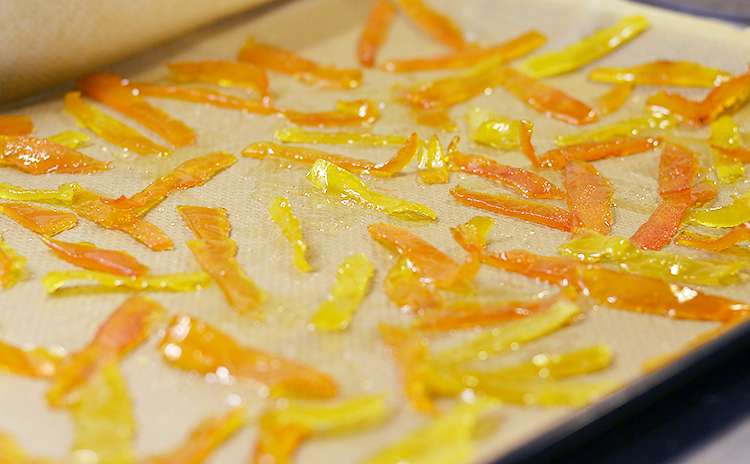 Toss the peel, a couple of pieces at a time, in sugar until coated. And you’re done! 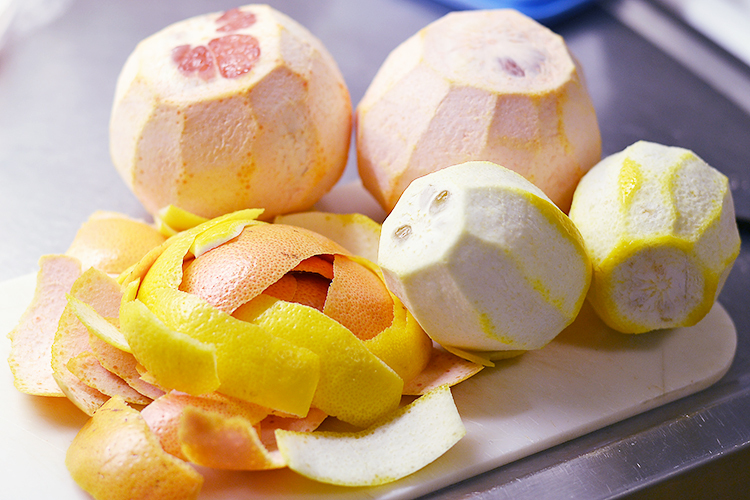 Cut the top and bottom off your citrus fruits. Stand the fruit on one end and carefully slice the outer layer of peel off, working your way around the fruit. Try to avoid going too deep, you don’t want the bitter white part of the peel. 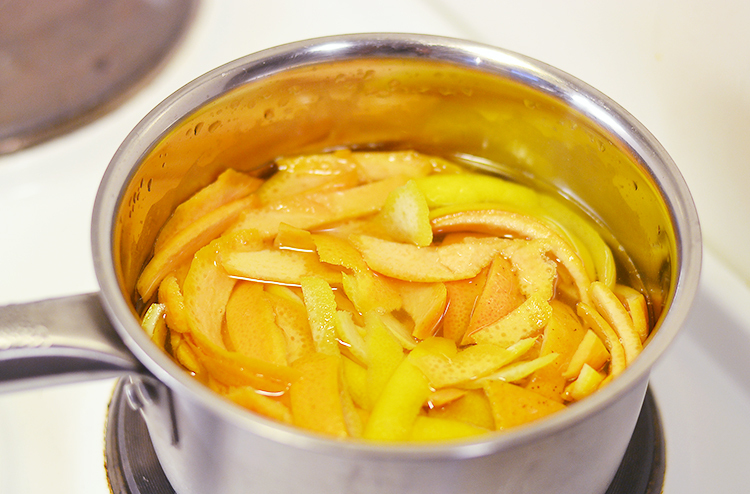 Bring a pot of water to a boil and add the citrus peel. Boil for about 10-15 minutes until the peel has gone tender. 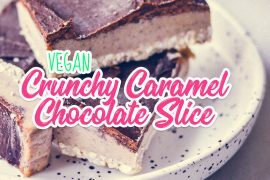 Tranfer to a baking sheet and allow to air dry for 15 minutes. In a pot, heat one cup of sugar with one cup of water and bring to a boil. Stir until the sugar has dissolved. Then add the citrus peel. Allow to boil until the water and sugar has turned a golden brown color, the syrup has thickened, and the peel is translucent. Use a slotted spoon to transfer the peel to a piece of parchment paper. Allow to cool completely. 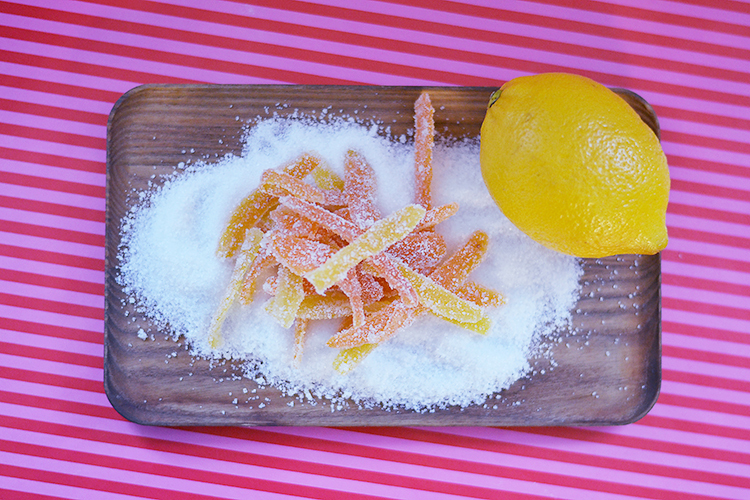 Toss the peel in about 1/2 cup (1 dl) of sugar until coated.